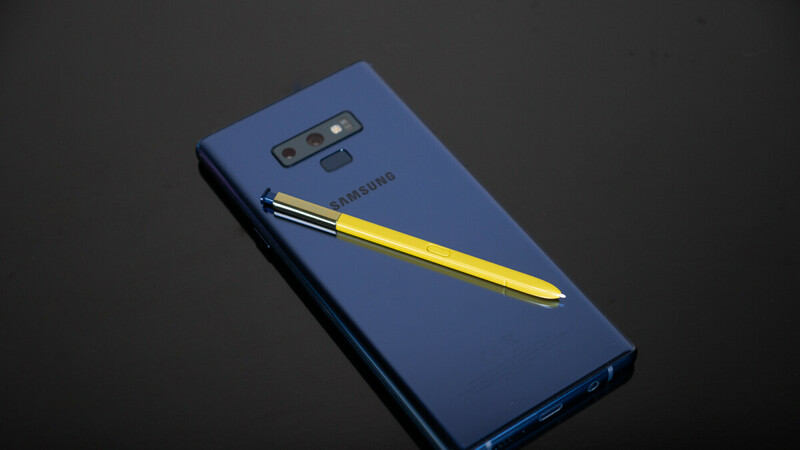 The S Pen that comes with Samsung’s Galaxy Note 9 is not only one of its main selling points, but one of the most unique features in smartphones today as a whole. While other phones also include styluses, the S Pen has some extra functionality thanks to its button and the Bluetooth connection. Until now, the additional benefits of the S Pen were restricted only to Samsung’s own apps. You can take pictures, change songs and so on, all well documented. When Samsung released the Note 9 back in August, the company said that third-party developers will be able to integrate the S Pen in their apps, but until now they were missing the software that could let them do that. This all changed today, as Samsung finally released all the necessary code, guides and other support materials that would help programmers use the S Pen to perform certain actions within their apps. They have two functions to make use of, a single press of the S Pen button and a quick double press. In the upcoming weeks and months, we should expect updates of popular apps to add S Pen support. However, we won’t be surprised to see entirely new apps developed for the sole purpose of using the S Pen in some weird and interesting way. Considering the high price of the Note 9 and its target group, the new additions will likely be business oriented, but there’s no reason why the S Pen can’t also be used as a trigger for your Fortnite weapons, for example. Or to play simpler games like Flappy Bird entirely using the remote function. The possibilities are vast, and we can’t wait to see how developers will put the S Pen in action. Note 9 owners must be brimming with excitement right now, and with good reason. Amazing phone , too bad i just returned it as it was a little too tall for my taste. Went back to my S9 plus . Just waiting to get my hands on my XS MAX Space grey in 3 days !! I'm hoping for a 6 inch note in the future , Basically a 10-15 mm shorter note. That's my only gripe with my Note 8. Although it is a phone that comes with an S-Pen which means it's not solely made for one handed use like the S9 or X(S), the phone is too tall for my liking. It’s shorter because of the big notch and it’s wider than note 9. When apple support stylus on their phones, then it will be a game changer. No, it won't be. There's absolutely no reason to use a stylus over a finger on a phone; even a large one as Note has a tendency tiny surface for anything related to the stylus. if you want to do that i recommend iPad or other tablet. Why would anyone want to draw with small phone screen? you need to zoom in zoom out all the time, why would you want to do that. I have Apple pencil with iPad and it's great for drawing and graphics apps, i still don't see any reason why would i want to do it with my phone when it's so much better with tablet. "Just wait for Apple to finally get the stylus right... you will be first in line! :D" They did that already with Apple pencil, great pen! OMG you isheep are so dumb. The S pen does way more then draw. "They did that already with Apple pencil, great pen!" He meant for use on the iPhone. Yes lot of gimmicks which no-one need. And you can't use the finger to do the same things? Oh, that's why there are a few millions new precision drawing and sketching exhibits every year, because those people bought the Note to draw and sketch with precision... I have 2 friends that are architects; none of them sketches on the Note, they use iPads (they used to use Surface because it was integrated into their Windows applications but in the long run they say it was better to switch to Mac) and a 2x1 m desk where they draw on paper with a pencil (wood and graphite). A close member of my family is a painter; she must also have missed this side of the Note, because she continues to use canvas, brushes and watercolors. very few cares pen support for their phone, Note 9 sales shows it very well. It's their biggest selling point over all other phones and still sales are very low. It's not something what people want or need. The phone still sells though. It's not causing a negative profit in Samsung's market share. Everyone knows that the note is not for everybody, just like how the larger iPhone is also not for everybody. That's why there are two variants. Frankly, with the coming of the Mate 20 Pro and the almighty Nokia 9 PUREVIEW, no one cares about the Note 9 or any Apple Phone anymore. You are right about Note 9 and very wrong about Apple. He is wrong about all. Pathetic like analyst! Apple will be the best selling high end phone ever! Rich people won’t get over using androids. I won't expect much support from developers for this, it's small niche product and markets are very very small, so i don't except android developers are interested to support it. Only reason Apple fans come here to troll is because they haven't had good news since launch, it's all been #chargegate,#beautygate, and #blueshiftgate. Beautiful phone atleast, still got that going for you. Note users remain Note users. Even Samsung knows it's a niche market. We like the note for its size and its pen. And yes, we use the pen. Quite frequently too. And not just for drawing. In fact, I personally never do more than the odd sketch during a meeting or presentation or in a burst of inspiration. But I would not do without a pen on my phone.